The Jio Browser app already has over 1,000,000 downloads. The app doesn't require users to have a Jio connection. This means that it is not exclusive for Jio users but can be used by all Android users. According to Reliance Jio, "JioBrowser by Jio is one of the first Indian browsers that’s developed keeping the Indian users in mind." 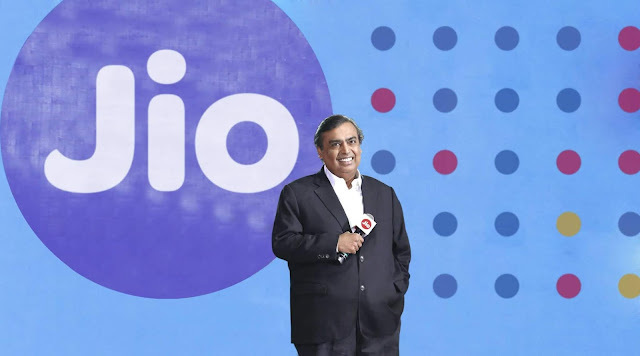 Jio Browser supports 8 Indian languages including Hindi, Gujarati, Marathi, Tamil, Telugu, Malayalam, Kannada, and Bengali. The Jio Browser app has a very low memory requirement and weighs only 4.8MB in size. On the homepage, users will get latest news updates from politics, entertainment, sports, technology and more. The Jio Browser comes with a dedicated video section for news updates. The Jio Browser supports private browsing, which is support for Incognito mode that allows users a private browsing experience. 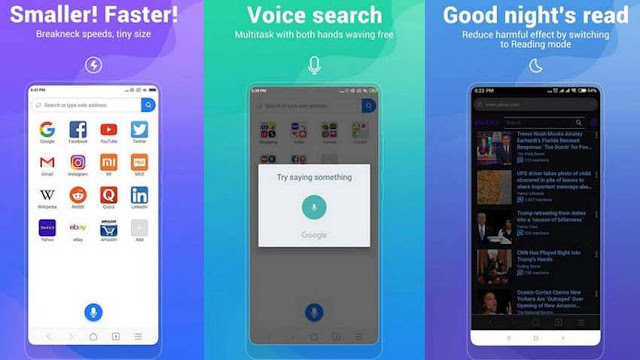 Like most other internet browsers, Jio Browser also lets users bookmark pages and share link with their contacts via various social media channels. The Jio Browser app also comes with voice input support, which means that it will fetch relevant search results on the basis of users' voice command. Users can also select the display size of the text on the Jio Browser app. Xiaomi has launched its much-awaited mobile browser for Android to enhance user experience. The new browser called 'Xiaomi Mint Browser' is not just for the phones manufactured by the company but, also for Android smartphones of other brands. This new browser is expected to take on already existing big players like Google, Mozilla, UCWeb, and Opera. The new browser by Xiaomi is already available on Google Play Store for download and will take less than 12MB space on smartphones. It is believed to deliver a safe and ad-free experience. The browser is likely to work same as other browsers such as Google's Chrome and Mozilla's Firefox. It offers multi-tabbing Web browsing experience to users along with an Incognito Mode. The new Xiaomi browser also comes with an inbuilt Dark Mode that inverts the colours of the webpages to provide a comfortable Web browsing under low light. Just like the other browsers, Xiaomi Mint Browser's homepage too comes with a list of pre-selected websites. The users also have an option to add their favourite websites by tapping on the 'Add' button. They can also delete from the list of already existing websites by pressing and holding shortcuts. The users are also allowed to search their queries through search engines including Bing, Google, and Yahoo. The browser has a dedicated microphone icon on the homepage which allows users to search through voice. The browser also has other general features like pinch-to-zoom functionality to zoom into webpages and Readimg Mode. It uses traditional way of loading webpages which will help the users to save their data. Mint Browser also has an option to change the style of the multi-window management from vertical to horizontal view which would allow the users to view multiple tabs. The users can download this browser from Google Play Store.